The ClevaFoam? Baby Pillow is scientifically proven to protect the round shape of your baby?s head and helps to prevent Flat Head Syndrome. ClevaFoam has been specifically researched, engineered, designed and manufactured for babies. 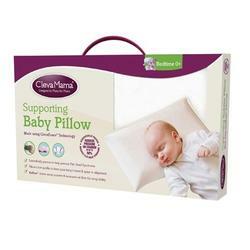 ClevaFoam Pillows reduce the pressure on your baby's head by 50% and increase support by 80%. 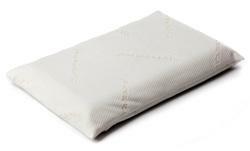 This comfortable and luxurious pillow has the added benefit of Airflow? which will draw away moisture and increase airflow for the ultimate "Snug-ability?. It also ensures correct alignment of the head and spine to better support your baby for a peaceful night?s sleep.